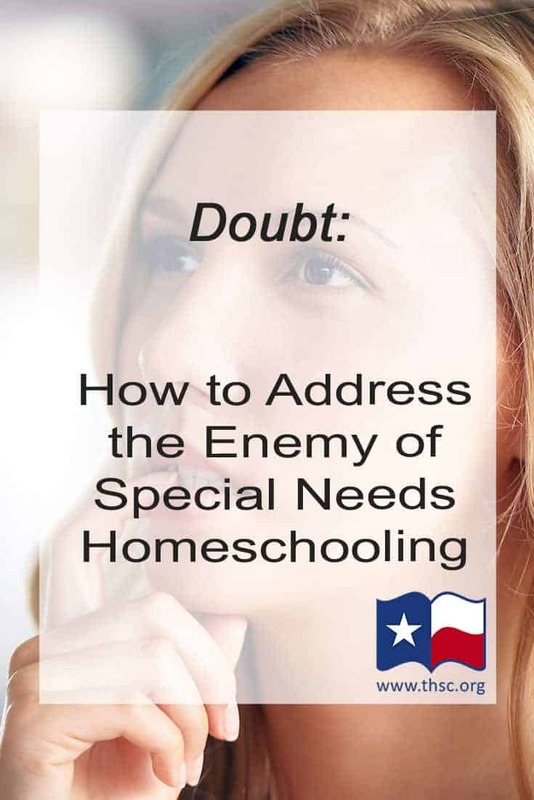 Doubt is the biggest enemy of any homeschooler. But, homeschooling parents of a special needs student tend to struggle with doubt to a greater degree. Is my child progressing fast enough? Am I providing enough social activities for my kids? Am I teaching my kids all the life skills they will need? Are we covering the right subjects? Is my lack of training harming my child’s ability to learn? Is this curriculum teaching my child better than any other curriculum I could have chosen? Left long enough to entertain these doubts, even small nagging questions easily turn into full-blown fears. Then, fueled by these fears, I respond to related circumstances with hasty decisions, anger, and even overburdening my kids with unnecessary work. Where Should I Turn in the Face of Doubt? In the end, not looking to God for His plans and instead concentrating on my doubts, created the actual scenarios I had feared in my homeschool. Instead of making our special needs homeschooling efforts better, I made them worse. If you struggle with homeschooling doubt, just like I used to, the best advice I can give you is to cast those doubts into the arms of Jesus. Pray for Him to help you fight back against your fears and to turn away from reacting against your fears. Most of all, pray for the future of your child and that you will make the decisions and changes that will lead him or her to be the person they were created to be. To find out more about how THSC can help your special needs homeschool, read the full list of THSC member benefits, the special needs section of our website, and the special needs student programs THSC offers at our Conventions. 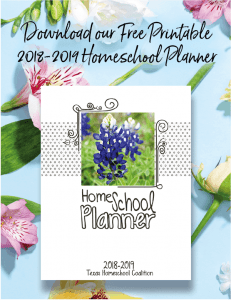 Also, be sure to share this encouragement with other families, especially parents facing doubt and fears in how they homeschool their children. Sharing the victory is how we continue Keeping Texas Families Free! Thanks, Peggy! I sure needed that word of encouragement and the reminder to turn my worries over to God. How do I know which program is best suited for my kids? I’ve seen several online courses, my dear is how can I teach this to them when so many professionals have failed. I have two sons with disabilities..both autistic … I’m tired of seeing little progress in school ..they are bright, smart, & need to be challenged. I just need the right program .